Posted March 2, 2017 by Staff Writer & filed under Arts & Entertainment, CD Reviews, Music. Kelly Day and Jane Hendry are Broads, an ambient-country duo with velvety vocals and a soporific sound. 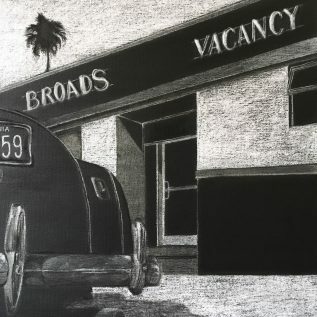 Their debut album, Vacancy, is the long awaited ship finally appearing on the horizon for fans who were tantalised by their eponymous EP, released two years ago. For those who like their music narcotic, this collection of songs will produce a lovely high. Sparse instrumentation and spatial production allow the dulcet, sometimes haunting voices of Day and Hendry to weave and collide through the mix.